Although psychology has become an established science, it still has deep connections to philosophy. This is particularly true when we consider the concept of person that is at the foundation of all psychology. A person exists (and persists) through the processes of consciousness and memory. 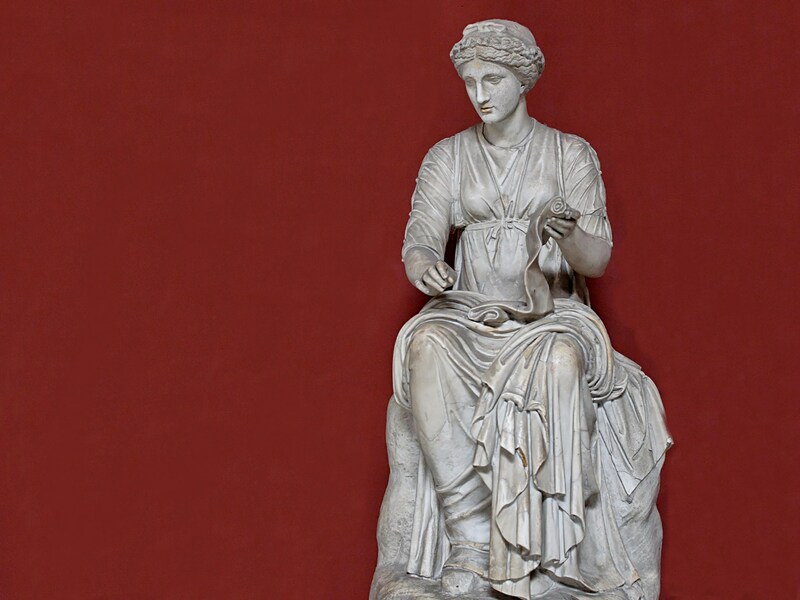 The following photograph (by Marie-Lan Nguyen) shows a Roman statue of Clio, the muse of history, from the Museo Pio Clementino of the Vatican. Clio records what is happening and recalls what has happened. History ensures that the past persists. The past helps us to understand the present. The statue derives from the 2nd century CE. Its head and body were originally from different statues. Our knowledge of the person comes from both psychology and philosophy. This posting looks at memory and person from these two viewpoints. The photograph has been modified to provide more space on the statue’s right. There is much we do not know.